Leading Manufacturer of rubber extruding machine from Thane. As a noteworthy entity of this domain, we manufacture and supply the premium quality of Rubber Extruding Machine. 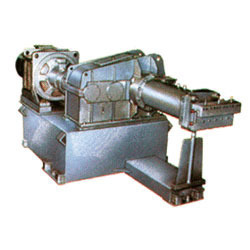 Used for extruding warn rubber into various shapes and profiles, the offered rubber extruding machine is easy to operations and requires minimum maintenance. As a quality focused organization, we assure that the quality of the offered rubber extruding machine is never compromised. Model Dimeter or Screw mm Driving Motor HP Production Capacity Kgs. per Hr. Looking for Rubber Extruding Machine ?